Distraught parents of children at St Joseph’s Primary School were in tears this morning when they heard East Dunbartonshire Council had been given the go ahead for the school’s closure. But they have issued a defiant message that their fight to save Milngavie’s only Catholic primary school will go on. Responding to the Scottish Government’s decision to grant consent to the proposal after the decision to close St Joseph’s was ‘called in’ by Scottish Ministers, parents said they were disappointed and were now considering options including a legal challenge. 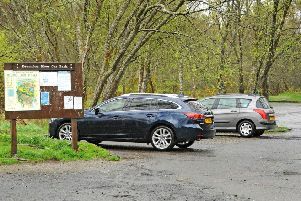 Over 500 people in both Milngavie and Bearsden took part in the council’s formal consultation process, with 87 per cent opposed. A petition to save the school now has over 1,700 signatures and celebrities including actress Dorothy Paul and former Scotland star Murdo MacLeod have backed the campaign as well as the Catholic Church, which sees the plan as a serious deterioration in denominational provision. Chair of St Joseph’s Parent Council Laureen McIntyre, said: “Some parents were in tears at this morning’s Christmas nativity play. The people who will be most affected by this closure have been ignored by councillors and now by the education minister, who has barely even begun in her job. “We have been overwhelmed with support from across the community and we want to say thank you. “We’ve proven that St Joseph’s primary school is a cherished part of our community and we will now consider our options, including a legal challenge. “Catholics in Milngavie are not second class citizens and our children have the same right to be educated at a local school as anyone else’s. A Scottish Government spokesperson said: “Following further investigation, and having looked at the totality of what has been considered by East Dunbartonshire Council in coming to its decision to close schools, the Scottish Ministers are satisfied that East Dunbartonshire Council has fulfilled its obligations under the 2010 Act and that the closure proposal is a reasonable one which the council is entitled to make.